The Maker Box subscription features hands-on DIY projects from building your own tech and gadgets to growing your own garden. It was inspired by the Maker Movement and includes kits for every type of Maker from tinkerers, hackers, traditional artisans to independent inventors. Each box will have a new theme, curator and endless hours of making! This first box featured curation by Boing Boing and Mark Frauenfelder, legendary Maker. 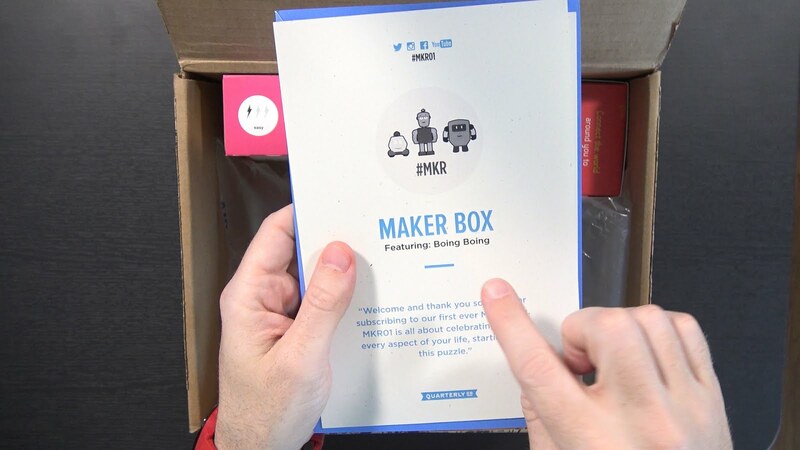 The next Maker Box will be curated by fellow YouTuber, Bob Clagett from I Like to Make Stuff. Thanks so much to Quarterly.co for sponsoring this video!